Gold Miner Pest Control is on the Travel Channel. Join owner Casey Jeffreys and Field Technician & Manager Ted Pierce as they evaluate a possibly haunted house in Applegate, CA to rule out a pest control problem. Does the home in Applegate have a pest control problem or is it something else entirely. Could the house be haunted? The program will be shown on the Travel Channel on Saturday, August 12 at 10pm/9c and Sunday, August 13 at 1am/12c. The episode is titled “The Devil Inside” Season 8, Episode 8. You can find more information here. Do you have sounds coming from your walls or ceiling? It could be rats running through your attic at night, ants chewing the wood inside your walls, or the buzzing of a wasp nest. Or maybe it is something entirely different. Could it be paranormal activity? Could your house be haunted? The latter are the questions that the Travel Channel’s Dead Files tries to answer. 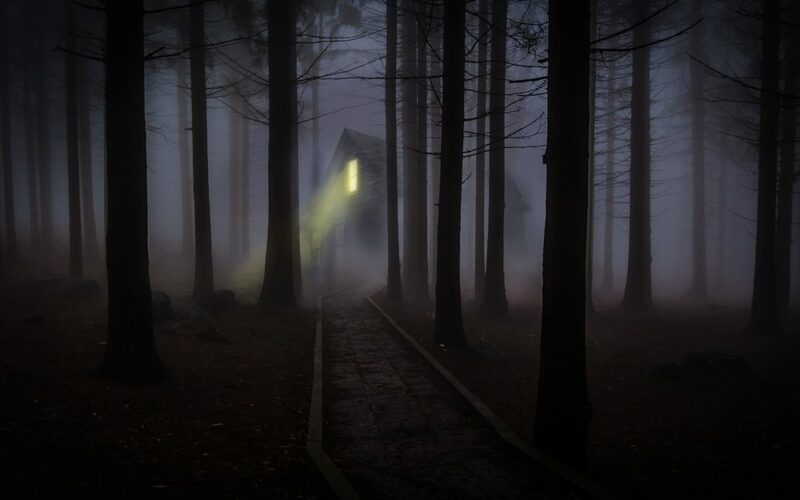 Amy Allan, a paranormal researcher, and Steve DiSchiavi, a retired NYPD homicide detective, try to get to the bottom of the phenomenon of “haunted houses”. The Dead Files has teamed up with Gold Miner Pest Control to rule out the possibility of rodent or insect infestations. Pest infestations can make you think you are going crazy. One night, when everything is quiet, you hear scratching in the wall. It’s a small sound and difficult to pinpoint. The next day you try to listen for the same sound and find where it’s coming from. Unfortunately, there is no sound to be found. Maybe there was nothing after all? Then a couple of nights later you hear that same scratching sound. What is it? Don’t worry, you aren’t losing your mind. Pests can cause a large assortment of sounds as they inhabit your home. Ants and termites can cause scratching sounds as they eat and bore their way through the wood in your home. However, the scratching sound may not always be consistent or constant. Since the nest is always expanding, you may hear sounds in one wall today and in another wall a couple of days later. Rodents and bats can also make various sounds. Because most species are nocturnal, you generally won’t hear them during the day when they spend most of their time sleeping. However, it is not uncommon to hear some of the high pitch squeaks. As the sun goes down, rats and mice will begin scavenging for food, searching for water, and building their nests. Bats will make sounds as they leave your home in search of food. Because Applegate, CA is nestled in the foothills of the Sierra Nevadas, it does have its fair share of pests including ants, wasps, spiders, rats, and bats. Does the home in Applegate have a pest control problem or is it possible that the house is haunted. Join Casey and Ted this coming Saturday as they help Steve and Amy determine if the house in Applegate really is haunted.